Strawberry Lemonade is the perfect iced beverage for Strawberry season! Give your classic lemonade a twist with this delicious and thirst quenching drink! Add the simple syrup (1 cup water with 1 cup sugar), lemon juice, sliced strawberries and 4 cups or more of water. Stir to combine. Taste and adjust flavors, if you want it sweeter or more sour. Allow the strawberries to sit in the lemonade at least 1/2 hour or overnight. This recipe is great for making ahead. The longer it sits, the more "blush" the lemonade gets. If you want to serve it right away, you can mush the strawberries a little before adding them to the mixture. Before serving you can add the lemon slices to the pitcher or dispenser or just to garnish in the cups. I find that when you add the lemon slices and let it sit, it can make the lemonade too bitter. Serve with ice and garnish with more strawberry slices. Enjoy! 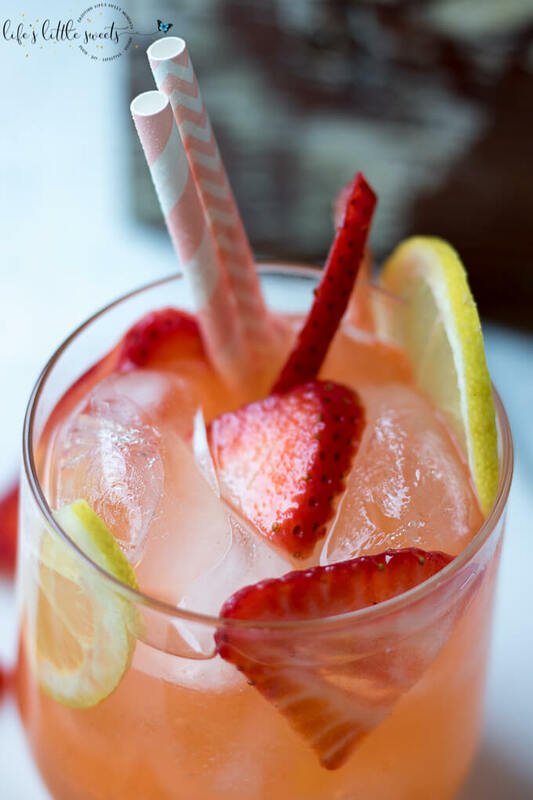 If you are serving this Strawberry Lemonade for a party and it will be sitting out, an option is to make it more concentrated and put ice in the serving container to keep it cold, as the ice melts, it will dilute the lemonade.